It might be worth reminding your patients about the potential problems that various drinks can cause for their teeth. New research has just this week revealed that 46 per cent of adults in the UK actually believe that non-alcoholic drinks like cola, coffee, tea and fruit juice have had a negative impact on how their teeth look. Carried out by Mintel, the study found that the main dental issues people have suffered from in the last year are plaque build-up, staining and yellowing, bleeding gums, tooth pain and cavities. Bad breath is also problematic for 26 per cent of Brits, it would seem. As well as popular drinks causing potential difficulties, it was also found that people think foods like blueberries, potatoes, sweets and cherries affect their smile, while tobacco, teeth grinding from stress and ageing are also considered to be culprits in this regard. “Perhaps encouragingly, just a quarter of Brits attribute a decline in the appearance of their teeth to poor dental hygiene. 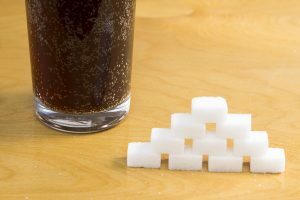 However, the high proportion of consumers that cite dietary factors as having a negative impact on their teeth is a testament to ongoing diet issues in the UK, particularly with regard to high sugar consumption,” senior consumer lifestyles analyst at Mintel Jack Duckett said. Similarly, research from the Faculty of Sport and Exercise Medicine UK found that regular consumption of sports drinks among children increases their risk of tooth decay. It was seen that parents and children are unaware that these drinks are actually not intended to be consumed by young people. Looking for dental diamond burs? Get in touch with us here at Acerdent today.